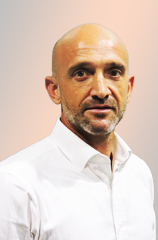 In his role as Managing Director for the Global Remote group, Jaison Pullikottil is responsible for spearheading new business opportunities and the group’s overall expansion. 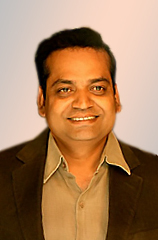 Jaison has 28 years of experience working within the energy sector internationally, is the co-founder of Global Remote India, the Middle East, CIS and the USA, and founder of one of the Global Remote group companies, Jacob Inspection Services. His management experience includes large-scale international projects covering inspection, asset integrity management, and training for both onshore and offshore projects in the oil and gas industry. Qualified as a Mechanical Engineer and accredited by a variety of international bodies including, API, ASME, BGAS and IRATA, Jaison provides detailed knowledge to the group, enabling Global Remote to venture into new areas within the energy sector. As co-founder of Global Remote, and in his capacity as Director of Operations, Boyd Boxshall provides a wealth of skill, knowledge and practical experience to Global Remote’s expanding operations. With a bachelor’s degree in science, and accreditations in IRATA and ASNT, Boyd has over 25 years’ experience in the industrial rope access industry, performing a range of international project management and business management roles in the energy, civil, and geotechnical sectors. Boyd’s 12 years in the industrial sectors in Asia, has further highlighted the need for a safety focused approach and high quality service in the industry, regardless of project complexity, environment or location. This objective remains a core focus for the Global Remote group. In her capacity as Director of Finance, Uththra Sridharan provides valuable experience in international business administration to the Global Remote group. Uththra is founder of one of the Global Remote group companies, Inside Exploration Technologies, has a master’s degree in both business administration and banking management, and has 12 years experience in business administration, working with a variety of respected import, export and manufacturing firms in India and abroad. 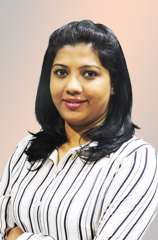 Uththra’s skills and experience include a specialisation in financial control, planning and budgeting, with an additional focus on marketing, client coordination, public relations, logistics management, and overall business administration. Uththra’s valuable experience provides the required expertise for the expanding Global Remote group in India and the Middle East and CIS regions. In his role as Director, Middle East, Ginosh Abraham has overseen the recent growth of Global Remote, assisting with the establishment and successful business developments of the Middle East and CIS regional offices. 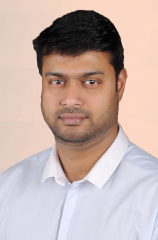 With a bachelor’s degree in computer science, and industry accreditations in IRATA and ASNT, Ginosh has over 14 years’ experience in the oil and gas industry internationally, including senior management roles in advanced inspection and project management, quality management, staff recruitment and training, business development, and overall business administration. As a seasoned business administrator, Ginosh fosters the progressive momentum of the Global Remote group in the Middle East and CIS regions.